The goal of summative assessment is to evaluate student learning at the end of an instructional period by comparing it against a standard or benchmark. States and districts frequently use summative data to evaluate instruction programs, gauge progress, and analyze demographic trends to improve student learning. This page lists common metrics used to gather summative data among schools in Sonoma County. California uses annual measures from the Smarter Balanced Assessment Consortium to evaluate English language arts and mathematics learning for students in grades 3 through 8 and 11. 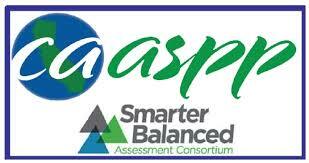 Results from the 2017 Smarter Balanced Assessments were released in September 2017. The California Department of Education provides access to results for all counties, districts, and schools here. Results can be disaggregated by grade, subject and significant school subgroups. Descriptions of the knowledge, skills, and processes that are demonstrated by students with this assessment are described at the Smarter Balanced Assessment Consortium website. This page from Ed Source provides an easy way of seeing 2017 results alongside results 2016 & 2015 for the Smarter Balanced Assessments in English Language Arts (ELA) and mathematics. California is in the process of transitioning from the California English Language Development Test (CELDT) to the English Language Proficiency Assessments for California (ELPAC). The CELDT will continue to be administered until the ELPAC becomes operational. A comparison of the CELDT and the ELPAC is provided here. The Early Assessment Program (EAP) is a collaborative effort of the State Board of Education, California Department of Education, and California State University. The program provides opportunities for students to measure their readiness for college-level English and mathematics in their junior year of high school so that they can improve their skills during their senior year. Support for 2017 EAP results with resources for student advisement can be found here. EAP Information for districts and schools prior to 2015 can be found here.